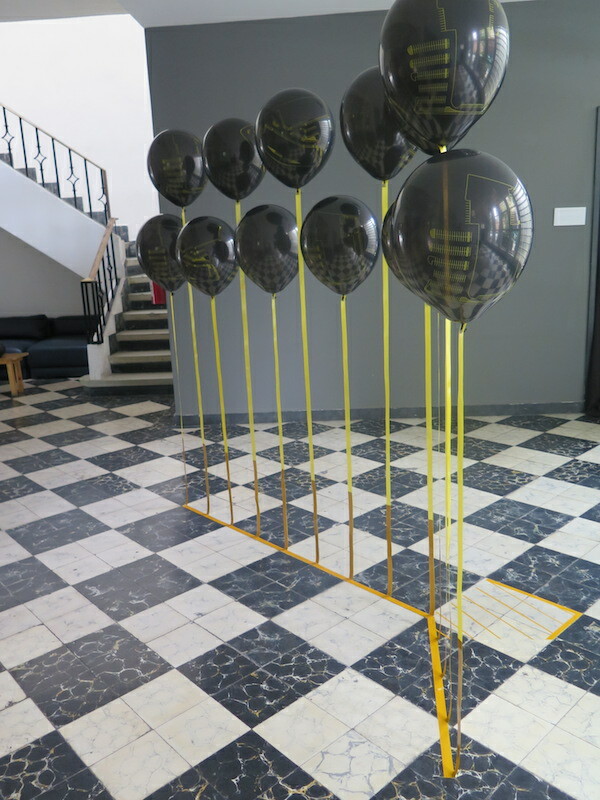 This project contains nine helium balloons with a parking lot screen-printed on the outside. 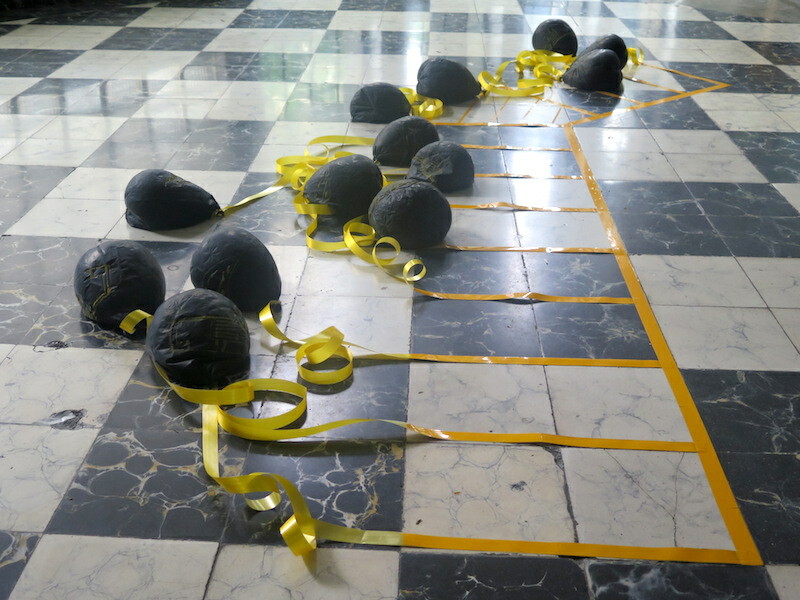 The ribbons of the balloons are adhered to the ground with reflective tape. 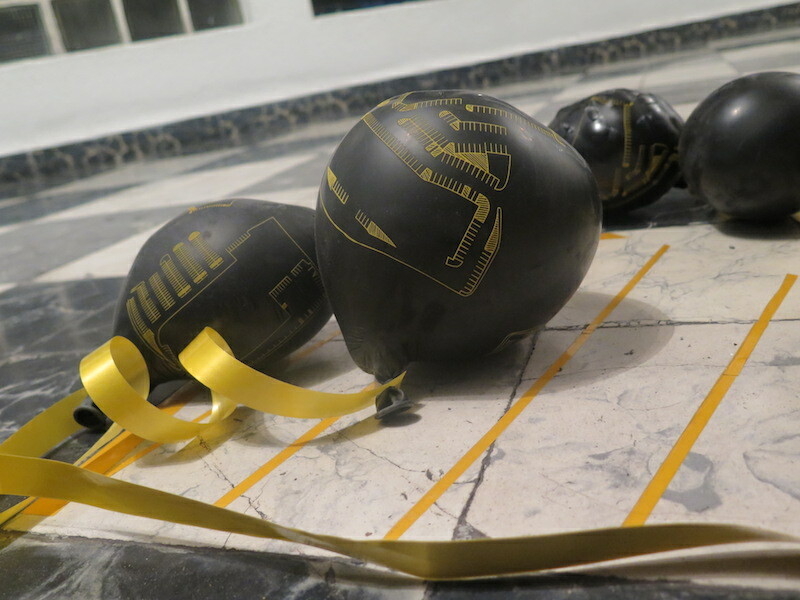 As the helium diffuses, the balloons fall and make a parking lot with the tape. The parking lot is one in Philadelphia, besides being my favorite, it is also a place where you can watch the sun rise and set in the same location. 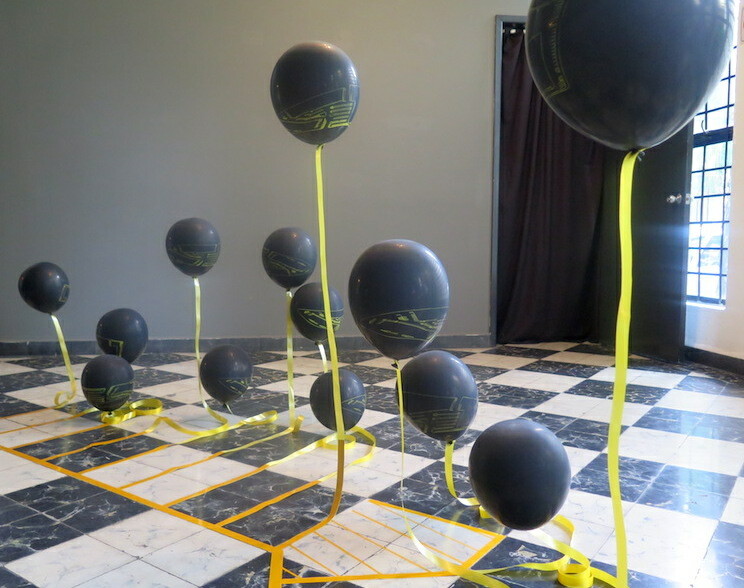 The spherical nature of balloon, and the ability to use an apex, the balloon, as support for a drawing the ribbon/tape, lead me to use a balloon as a location for my mapping of the Port Richmond Parking Lot. These materials allowed for a fictions border, one that responded to the use of space around it. Reflecting Karen Francs’ idea of loose space in the lounge in SOMA and the star of the show, the parking lot.